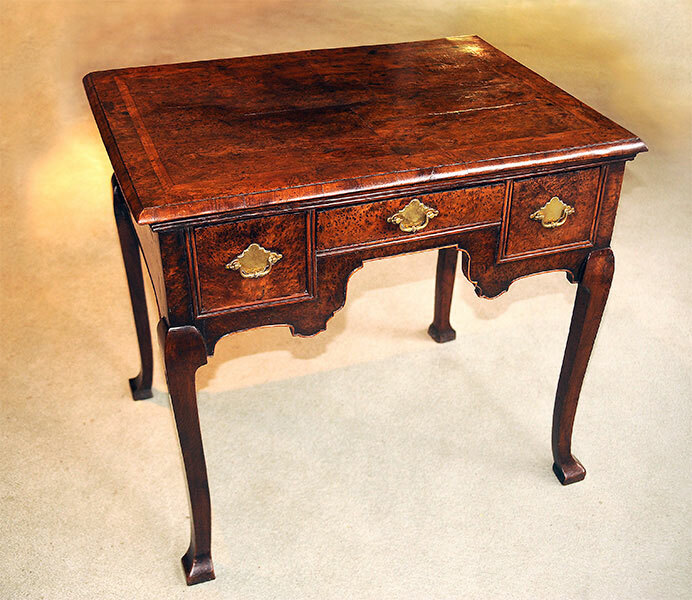 A rare yew wood lowboy with attractive burr veneers on the top and drawer fronts. 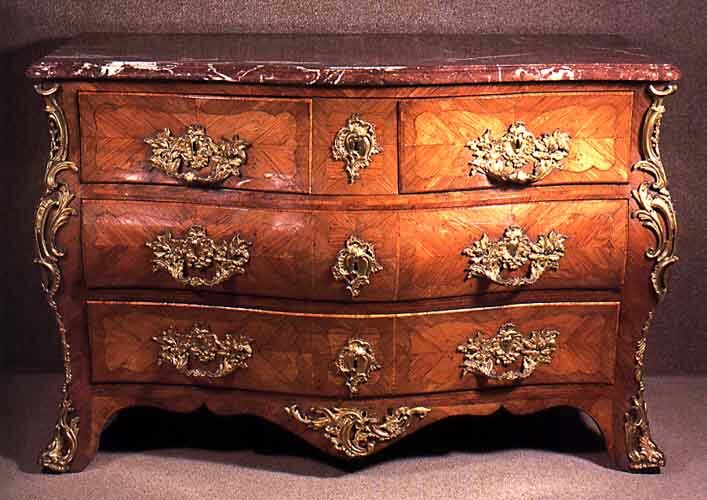 The top also cross banded with yew veneers. The four cabriole legs of solid yew wood. Fine condition and very good colour and patination. Brasses later replacements. Provenance available. 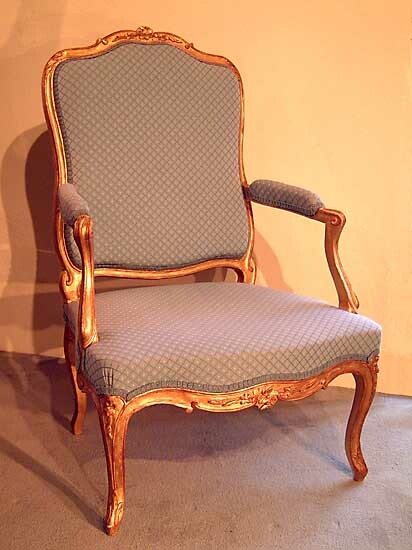 A single giltwood armchair with cabriole legs and carved decoration.